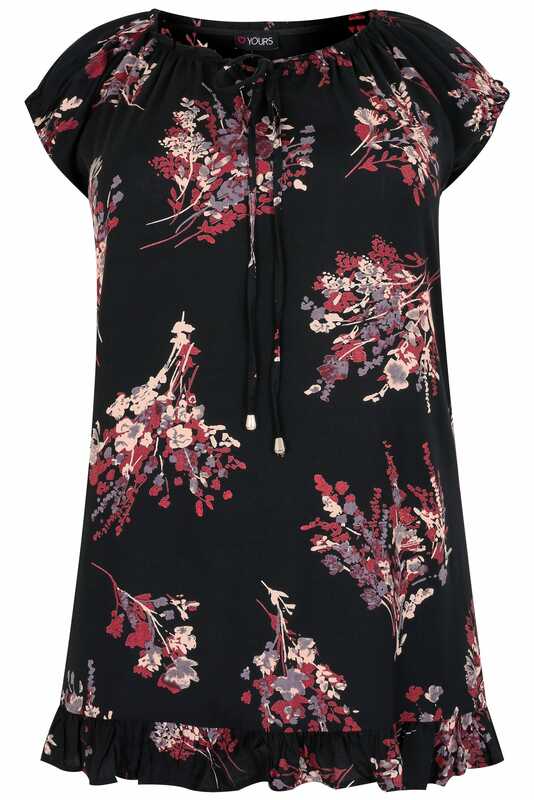 Flatter your curves with this fabulous relaxed gypsy style top. 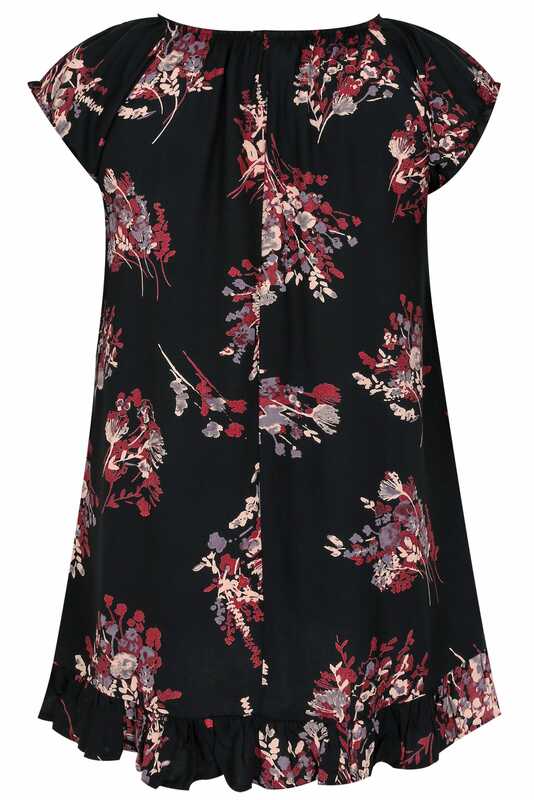 Boasting a bold floral print, it features a frilled hem and an elasticated band across the neckline for a perfect fit. We are loving the on-trend gypsy style.